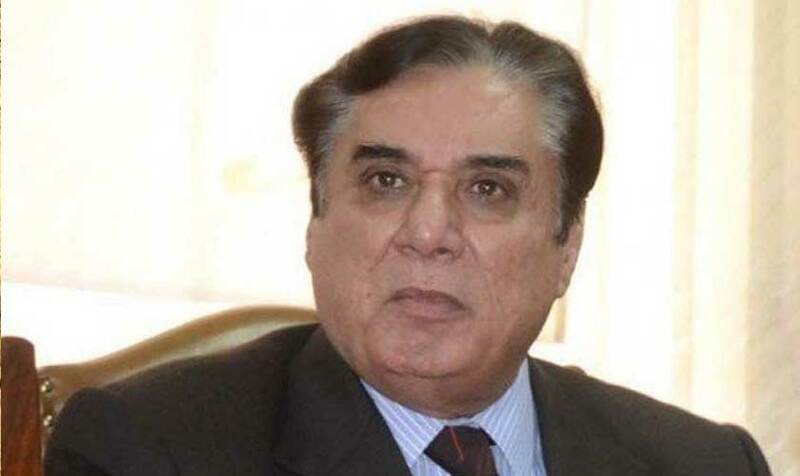 ISLAMABAD: National Accountability Bureau Chairman Justice (retd) Javed Iqbal on Tuesday defended the plea bargain concept saying that if there were no plea bargain, no institution could bring the looted money back. “There were advantages and disadvantages of concept of the plea bargain but one thing is clear that the recovery of millions of rupees was not possible without it as no institution of the country was able to recover the looted money,” he said while addressing as the chief guest at distribution of Rs747.9 million among the victims of three housing societies namely Shaheen Foundation, Tele Town Housing Societies and Chargia Housing Society Wah. For cheque distribution, a ceremony was organised by the NAB Rawalpindi at NAB Headquarters. The NAB chairman came hard on critics of NAB laws, saying organised propaganda is being made against the NAB and the critics think that the NAB is not functioning as per the law. “NAB laws were scrutinised by the Supreme Court (SC) in Asfandyar Wali case in which all the legal aspects were examined and the Supreme Court never called the authority unconstitutional having draconian laws,” he said. Justice (retd) Javed Iqbal said NAB always gave respect to the parliament and its decisions as it was the supreme institution. “We were performing duties according to the law framed by the parliament,” he said. He said there were talks to change procedure of the NAB remand and cut it to 15 days but white collar crime is not a simple theft or murder case, which should be investigated in 15 days. “The money was transported from Lahore and Islamabad to Gulf States and then into unclaimed foreign bank accounts to purchase plazas and it was difficult to trace it as every country has its own policy,” he said. He said NAB Rawalpindi is the flagship Regional Bureau of NAB which has always played a prominent role in contributing towards the overall performance of NAB. He said that NAB has geared up to come up to the expectations of the nation to eradicate corruption at all costs. He said that NAB Rawalpindi is very actively perusing the cause of elimination of corruption and corrupt practices through a holistic approach of “Awareness, Prevention and Enforcement” by adopting zero tolerance policy. He said that due to NAB’s proactive Anti-Corruption Strategy and excellent performance for eradication of corruption in the country, the Corruption Perception Index (CPI) of Pakistan has continuously been decreasing, which was appreciated by reputed national and international reputable organisations like Pildat, Mishal, Gillani and Gallop Survey, Transparency International and World Economic Forum. He said that overall conviction ratio in trial court is more than 70 percent and our performance remained excellent during 2018 as compared to other anti-corruption organisations. He said NAB since its inception recovered Rs297 billion from corrupt elements which is a record achievement as no other anti corruption agency in Pakistan has recovered such a huge amount. He said that today NAB’s about 1210 corruption references are under trial for recovery of approximately Rs900 billion. He said that NAB is the first chairman of Saarc Anti-Corruption Forum. “The NAB is the only organisation in the world with which China has signed Memorandum of Understanding (MoU) in order to streamline cooperation in the field of anti-corruption and oversea projects being undertaken China Pakistan Economic Corridor (CPEC),” he said. He said that NAB has established its first Forensic Science Lab (FSL) in NAB Rawalpindi which has facilities of digital forensics, questioned documents and fingerprint analysis. He said that NAB has rationalised its workload and timelines have been prescribed for efficient, effective and expeditious disposal of cases. He said that NAB has also introduced a new System of Combine Investigation Team (CIT) in order to benefit from the experience and collective wisdom of senior supervisory officers, adding a system of CIT comprising director, additional director, investigation officer and a senior legal counsel has been put in place. “This will not only lend quality to the work but also ensure that no single individual can influence the proceedings. The results of CIT are very encouraging,” he said. DG NAB Rawalpindi Naeem Mangi said that on the direction of chairman NAB, a separate complaint cell was established in NAB Rawalpindi. He said NAB Rawalpindi has received 7841 complaints during 2018 and more than 7,000 complaints were disposed of as per law, which is a record in five years. He said NAB Rawalpindi conducted various complaints verifications, inquiries and investigations and filed 50 corruption references in Accountability Courts during 2018 and recovered Rs218 million from corrupt elements. He said the NAB Rawalpindi has arrested 50 accused persons in 2018, which is highest-ever number for NAB Rawalpindi in any year. He said NAB Rawalpindi indeed feels great pleasure in working under the ­leadership of Justice (retd) Javed Iqbal.